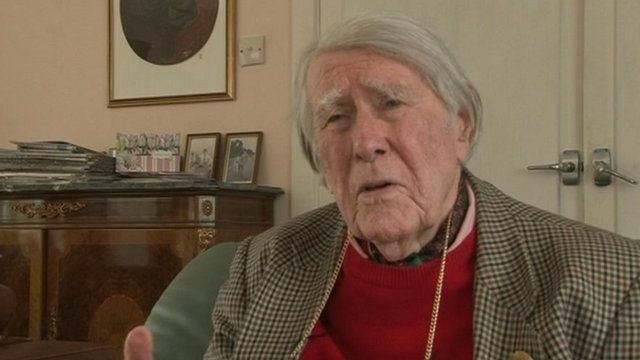 A 92-year-old World War II Bletchley Park codebreaker has had a set of commemorative stamps issued in his honour. Raymond "Jerry" Roberts, from Liphook in Hampshire, is the last survivor of a four-man team that cracked the German High Command's Tunny code. The stamps feature Capt Roberts receiving his MBE from the Queen and his wartime photo. He said it was "extraordinary" to be on "the same stamp as Her Majesty". The sheet of stamps has been issued through the post office at Bletchley Park, a World War II code-breaking centre in Milton Keynes.